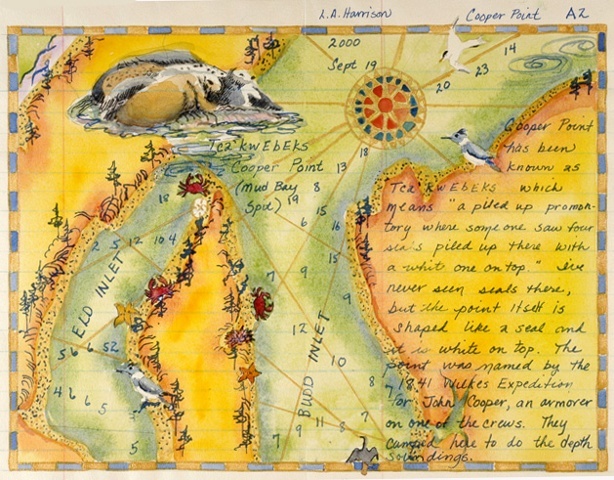 Lucia grew up on Cooper Point overlooking Budd Inlet. 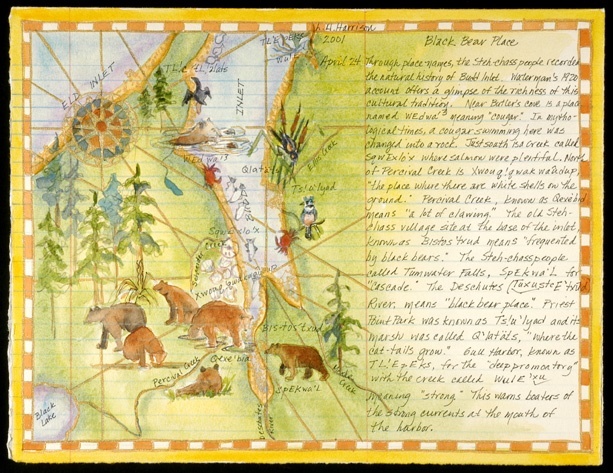 As a child, she navigated the waterways of South Puget Sound. 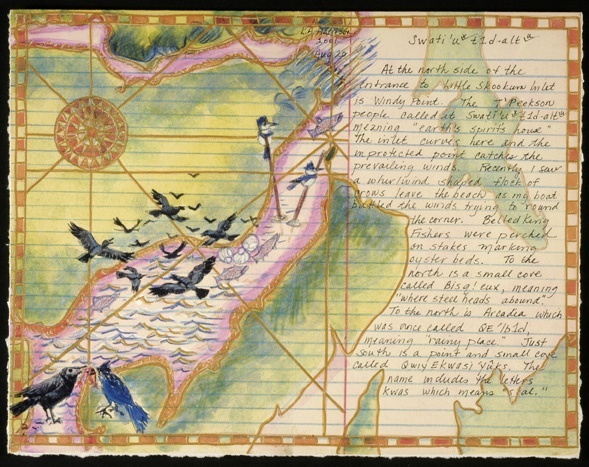 These works investigate the indigenous place names of the five inlets of South Puget Sound. 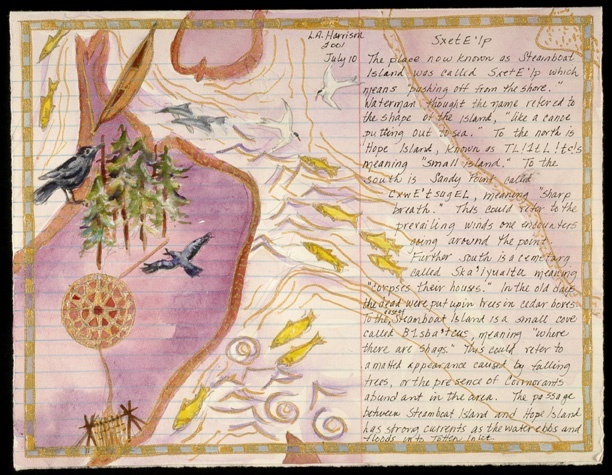 She kayaked the inlets, investigated the place names, recorded her natural history observations, and reflected on her childhood memories. 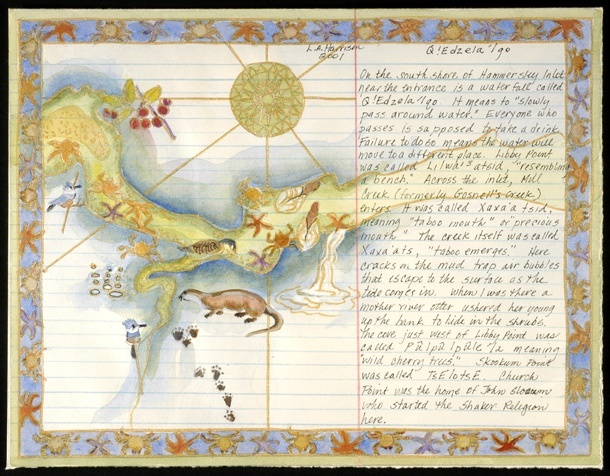 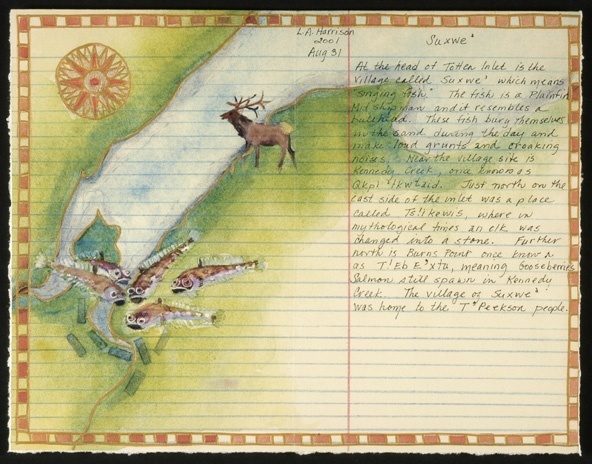 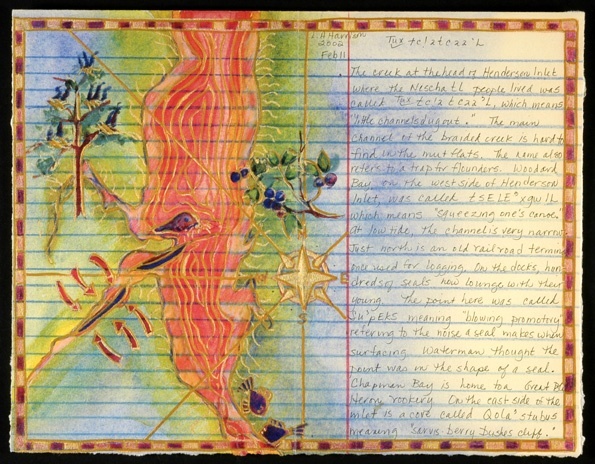 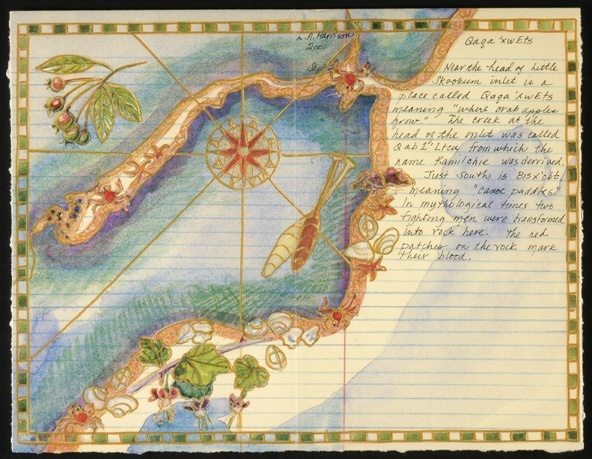 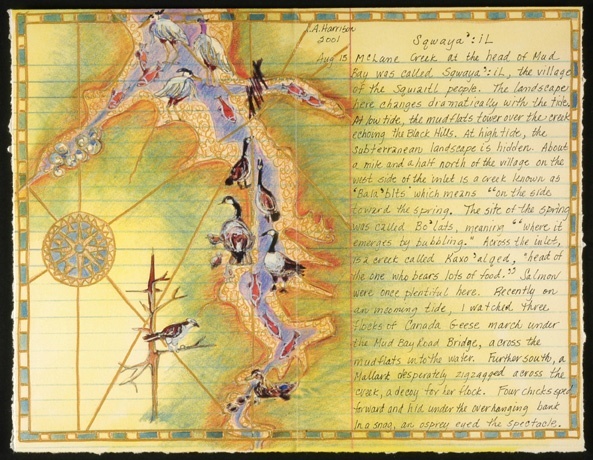 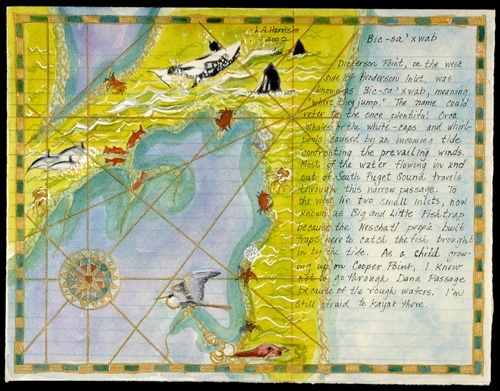 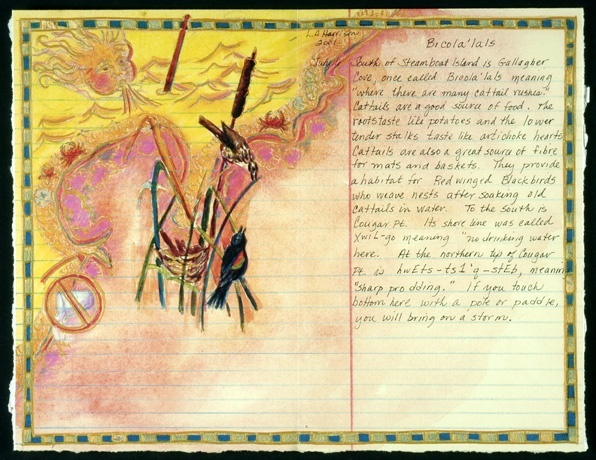 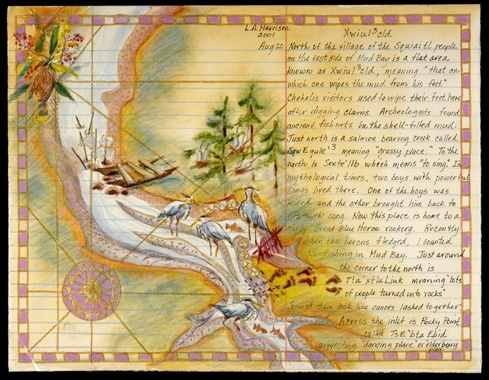 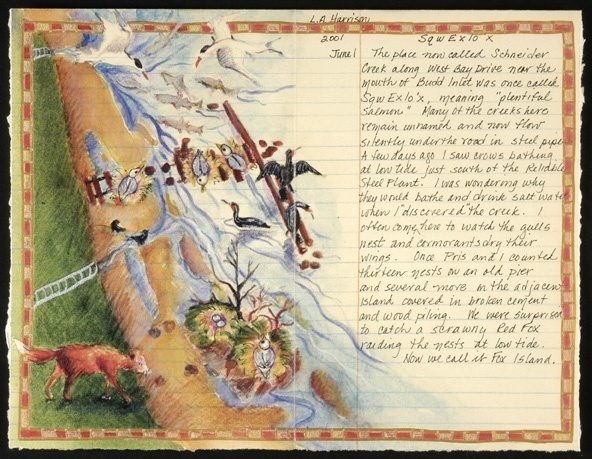 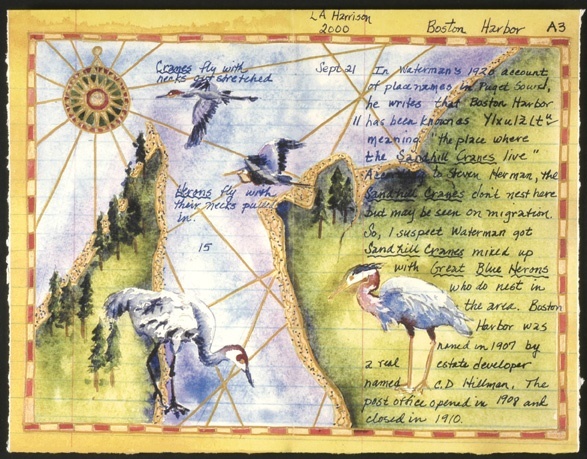 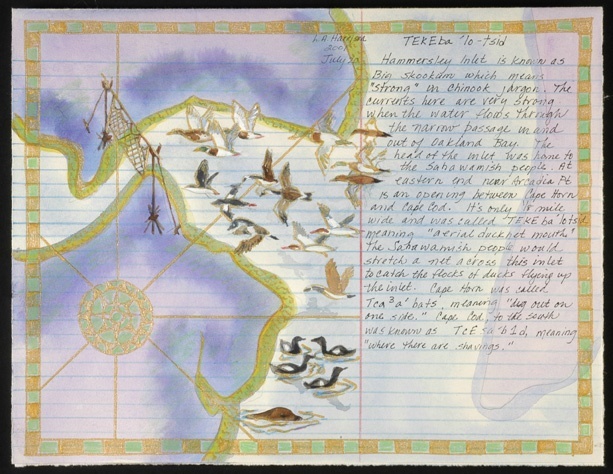 Each map combines visual information with a journal entry. 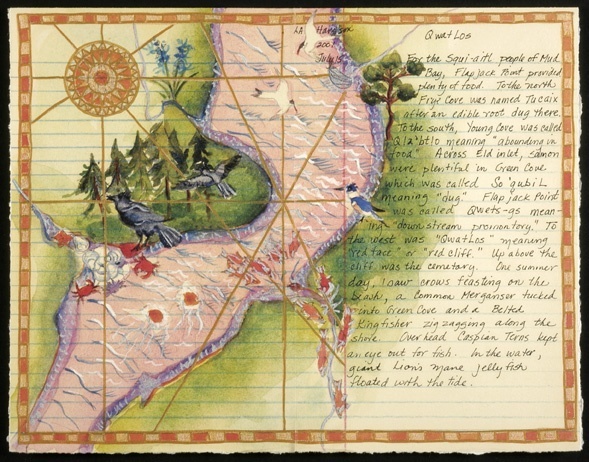 Embellished Prints of the Original Watercolors are available for purchase.